Juggling Marvel Studios ever-growing slate of heroes within the Cinematic Universe might prove to be very difficult to pull off over time. No matter which approach the studio decides to take, Infinity War will most likely leave the Cinematic Universe with a discrepancy between the old and the new. 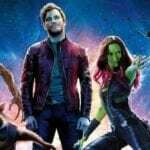 There’s no guarantee Phase Three’s new heroes will become fan favourite characters strong enough to eventually replace the likes of Robert Downey Jr., Chris Evans and Chris Hemsworth and there are no guarantees today’s Earth Mightiest Heroes will be willing to extend their contracts beyond Infinity War. This is why Marvel needed Spider-Man back. With RDJ and Evans likely letting their current contracts expiring, Spidey and/or Dr Strange can step up to carry the series. Either way Infinity War is going to be epic. Honestly, this was why I wanted Marvel to get the Fantastic Four back. By the end Infinity Wars, pt. 2, they Avengers will have gone against Loki, Ultron and Thanos are the three biggest villains they can face. But if the FF and all related characters were back, it could open the MCU up to having the Avengers face Dr. Doom, The Skrulls ( Secret Invasion, anyone), and of course Galactus. I agree casual cinema goers may be more loyal to the actors than the characters but Marvel isn’t averse to recasting, look at the Hulk or War Machine. I expect Marvel will not feature the 3 main characters (Cap, Iron Man & Thor) for sometime and then reintroduce them with new younger (cheaper) actors.